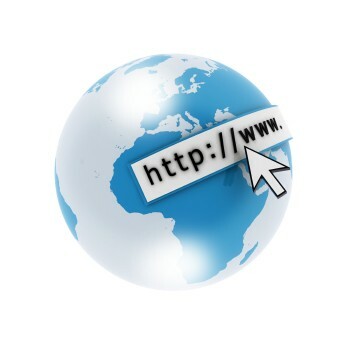 When you access web pages and other services such as email a whole range of things go on in the background to ensure that your request for a web page or accessing your email is achieved no matter where you are in the World, or which Internet Service Provider (ISP) you are using at the time. As part of that process, the companies that provide these services can do some useful things to ensure that your access is as fast and as reliable as possible. One thing service providers can do is make use of edge services that move data and processing closer to the location of the device you are using. This will mean that when you access the service the route that the data takes is shorter geographically, and that a central data centre is not having to handle all the network traffic and processing. This reduces the time it takes from when you perform some action on your device to when you get the response from the service. This is often referred to as latency. As more and more devices become connected to the Internet, and 5G mobile services are rolled out fast responsiveness will become increasingly important for providing a good experience. Despite all the benefits of edge services and why they are used, we are pleased to say that Runbox doesn’t use any of them – and for good reason. We understand that privacy and knowing who looks after you data is important to you as a Runbox customer, and to that end we are happy to say that we can offer you the confidence of knowing where your email is stored no matter where you access it from. We only store your email on servers that are located in a data centre in Oslo, Norway. In addition to our own security features, it is protected by the highly regarded legislation of Norway which is very focused on the privacy of communications and data more generally. 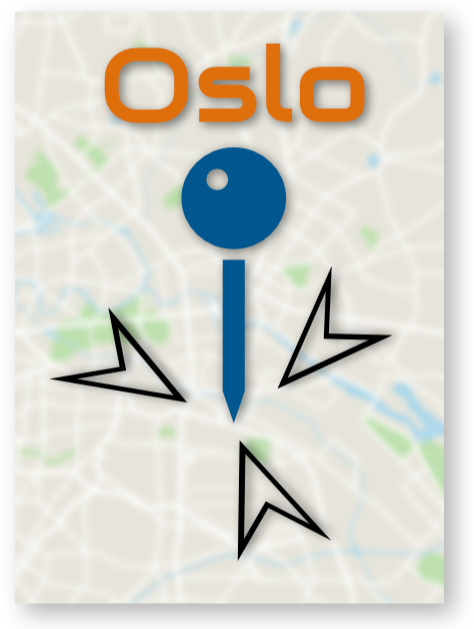 When you access your email with an email program or via our web interface data to and from your phone is routed between your location and Oslo, and the only place your data can be accessed from is the servers in Oslo. Between you and our data centre the data can travel across many networks with your current ISP at one end and ours at the Oslo end. However, all our services encrypt your data between your device and our servers and this means the email content isn’t readable as it passes through the ISPs that provide your connection to us. We believe that rather than distributing your data to data centres around the World, it is important for it to be treated as a valuable commodity and give it location specific protection. This means all access to your data is in accordance with Norwegian law. Runbox doesn’t control the entire route of your data to our servers, and the further from Oslo you are the less influence our choice of ISPs has on the route your data takes. The geographical distance between you and our servers can make a difference to how responsive our servers appear to be. This is because of the number of ISPs and routers involved in the network between you and us, as well as the quality and speed of the service those ISPs provide. Usually this doesn’t cause any significant issues and we have happy customers in 170 countries including Australia and New Zealand, which is about a far as you can get from Oslo. However, sometimes it can cause an issue and we can help customers try to deal with this if they contact us. While we are pleased to offer the certainty of knowing where you data is stored, we are also keen to make sure that you have a good experience using Runbox. 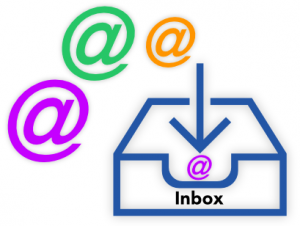 Using an email program like Thunderbird, Outlook or Apple Mail and therefore having your mail stored on your device can improve access to your messages. Doing this means that instead of having to download details for all of your messages each time you access your account, mail that has already been downloaded to your device is already there and only new messages need to be fetched from the server. Using an email program is a great idea for many reasons and not just because it helps solve potential network issues, but also because of the ability to manage more than one email account in the same interface, use the local search capabilities of the email program and access previous messages when you don’t have an Internet connection. Recently we’ve introduced local storage to the Runbox webmail in the form of the Runbox 7 web app. When you log in to the new interface you will be given the choice to download an index of all your messages that will be stored in your web browser. This index will remain there and be updated as new mail arrives until you decide to delete it. We also pre-load the content of the messages that are shown in your message list so that when you open the message the content is already on your device ready to be shown to you. 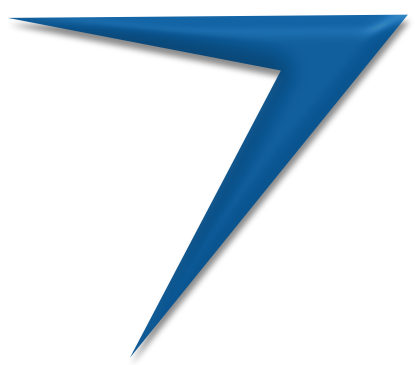 This makes Runbox 7 a very fast webmail client with excellent search capabilities. So not only do you have the peace of mind knowing where your email is stored when it arrives in your account, but you also have the option to store it securely on your own personal devices for even greater performance. This means you don’t need to worry about what edge services are doing with your data, because with Runbox you know where your email is, wherever you are! Whether you need to run personal and business emails from the same account, or just want to have a different identity for some purposes, Runbox has always provided customisation tools that let you adapt the name and email address on your outgoing message to suit any occasion. We call these Profiles and they are based on folders. In the original design of Runbox it was intended that where necessary you could move or automatically filter incoming message to folders for different purposes, or to help you organize your email better. Along with folders there are a set of preferences for each folder. By default new folders that are created are set to have the same preferences as your Inbox, but you can change this setting so that you can customise these preferences on a per folder basis. By far the most commonly customised settings are the Name, From, Reply to and Signature settings. These in particular allow you to create new “Profiles” so that you can send mail as it you have more than one email account. When you are reading email in a particular folder and you reply or create a new message while that folder is selected, your preferences for that folder are automatically applied to the message you are creating. As mentioned in a previous blog post aliases are an excellent way to keep mail separate for different purposes, and potentially help you manage any unsolicited mail. Profiles let you take this further and create a whole new identity, including a different name to go along with the alias address. Whenever you are using the Compose windows your aliases and profiles are listed in the drop-down box at the top of the window so you can easily select the one you need. One of the drawbacks of the flexibility the existing interface offers is that it can be quite time consuming setting up a alias, and then having to create a folder for a profile just so you can set up a different “from” name or signature. You might not even want to move or filter messages to a folder, but you would still need to create one if you want a different profile. In Runbox 7 we are going to simplify and streamline this process and all aliases will automatically become part of an “Identity”. When you create an alias you will at the same time have the option to update other details attached to that alias to create a different identity, or accept the default values that will automatically be pre-filled for you. We are also planning to eventually allow you to create a folder from the identities interface and at the same time a filter so that when you create an alias and decide to use that as an identity you can complete all the necessary steps at the same time. 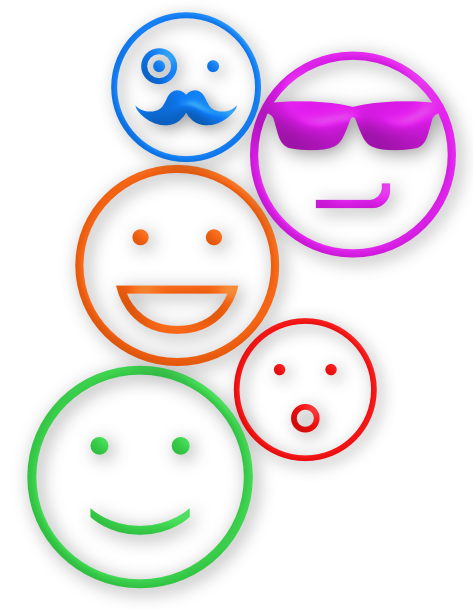 In Runbox 7 these identities will replace profiles and will improve on a feature we have offered for a long time, and one that is a key feature of what Runbox offers in its email service. We still have some open spots in the beta testing, so if you would like to participate send an email as soon as possible to support@nullrunbox.com with the subject “Runbox 7 Webmail beta test”. In the last blog post we outlined how you can use aliases to help organise you email, and also how they can help you deal with unsolicited or marketing email. Aliases offer alternative addresses for your account so that you don’t have to use the same address for everything. However, there is a quicker way to create new addresses on your account that doesn’t need you to log in to your account and set anything up. 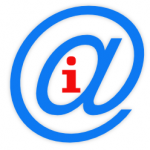 This is sub-addressing (sometimes called plus addressing or tagged addressing). The key to sub-addressing is including a + and some text after it (called the tag). This goes after the username and before the @ symbol. When our mail servers see this for incoming mail it knows that everything before the + is the username and so it can still deliver to the correct account. Even though the mail system delivers to your usual account, the message is still addressed to username+tag@nullrunbox.com and you can use this in various ways. Sub-addressing had a lot of uses and is easy to use. just make up the addresses as you go along without the need to set them up in your Runbox account. use a sub-address for anything where you might want to identify the place where you used your email address. use a different tag for each online website you sign up for so that if one leaks your address you know which one. 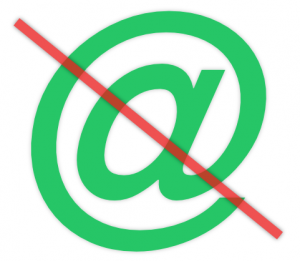 create a filter to delete email to that particular sub-address if it starts receiving spam. filter email to specific folders based on the sub-addressing. Sub-addressing works with all the Runbox domains, with your own domain if you using one, and with aliases (e.g. alias+tag@nullrunbox.com). Unlike aliases you can’t delete a email address in this format, because you never set it up in the first place. If you do get unwanted mail to an address in this sub-address format you can deal with it in two ways. use a filter in your Runbox account to delete it or filter it to spam. if it is set up on an alias delete the alias, but this means that any other sub-addresses using that alias will also stop working. Although sub-addressing is part of the official specification for email systems, not all email providers implement it. That might mean some websites will not accept an email address with a + in it, and some email services may not allow sending to addresses in that format. If you do come across problems, please let the website or email provider know that they could be supporting this useful address format. If you prefer, let us know and we will try to get in touch with them. The good news is that most major email services (and those that like to do things properly) do use sub-addressing and this means you are not likely to come across problems very often. If you need any help with sub-addressing please take a look at our help page about sub-addressing, or contact Runbox Support. It’s been a while since we wrote about one of the most useful Runbox features — aliases! Aliases are a great way to organise your email, and also a very useful tool in avoiding too many problems making changes if an email address starts to receive more unsolicited or spam email than it is easy to deal with. Aliases are alternative email addresses for your Runbox account that deliver mail to your existing Inbox, the same Inbox your main username delivers message to. You can send and receive mail using an alias and nobody other than you need know that it is an alias. You will see aliases listed in the Compose window if you are using our webmail, and if you are using an email program you can usually set them up in the account settings. Many people use aliases to separate mail to/from different groups of people, or to separate business and personal use. You can even use filters to automatically move incoming mail addressed to aliases to specific folders in your account. When you sign up for online accounts of different kinds (e.g. online shopping, forums, finance etc.) you could use a different alias for each account. You can use more important aliases for organisations where you feel your information is more secure, and other aliases, that you might consider throwaway addresses, for less reputable websites. You may not be able to tell if a website is reputable or not, but if you use aliases for different kinds of use and you start getting too much unsolicited email to one or more of them, the easier option might be to decide not to use a particular alias any longer and to replace it with another one. Runbox provides all customers with 100 aliases for their account, regardless of their plan choice. Aliases can be set up and managed by going to Account >> Aliases. Aliases are not forwarding addresses, and forwarding can be achieved using filters. However, to allow certain combinations of Runbox accounts to work together we have made it possible for aliases to deliver messages to another Runbox account other than the account they are created on. When you delete an alias it is permanently reserved for your account, and you can always add it back to the account that it was originally set up on. That way, you can temporarily disable an alias by deleting it, and then reinstate it at a later time. There is another way you can create additional addresses on your account, and we will be looking at that in our next blog post about sub-addressing. If you have any questions about using aliases, please see our help page about Aliases and Profiles. As part of an ongoing effort to modernize our payment processes, we have changed our primary card payment processor to Stripe. This will allow us to offer a more streamlined and modern payment experience for customers. In addition to accepting cards issued via Visa and MasterCard, for the first time with Runbox you can now pay directly using American Express cards. 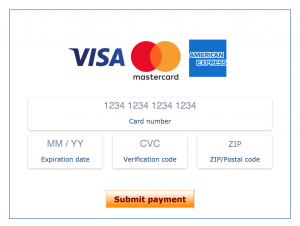 We are also now able to to offer Apple Pay, Google Pay and Microsoft Pay as payment options. Making this change will result in more reliable payments, and along with other changes in our payment system will give us greater flexibility in helping customers who need to change the products they have with us. Being our main card processor will also make Stripe the primary route by which automatic renewals are processed, and other methods will gradually be phased out. We have other changes planned for the future that will simplify choosing the products you need. We have been following a story that appeared recently about vulnerabilities in PGP and S/MIME that can cause a leak of the plaintext content of encrypted emails. There are a number of possible mitigations for the vulnerabilities, and they vary in how much they might impact your use of encryption. As we have help pages about how to use encryption with email, we felt we should let you know about these particular vulnerabilities. It’s been a few months now since we launched the new authentication service that made Runbox Two-Factor Authentication possible. Behind the scenes the authentication service has been working to protect your account from unauthorised access. One of the ways it does this is by analysing the pattern of successful and failed logins for your account. 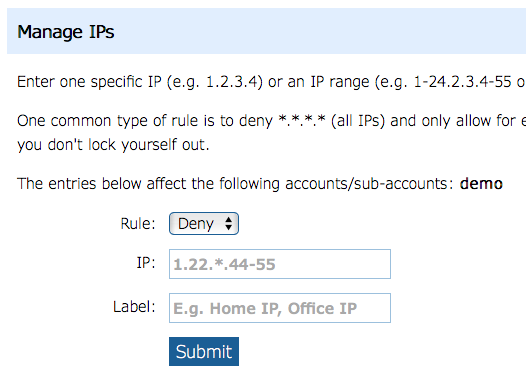 Using a set of rules it determines if a particular IP address should be allowed to access the service or whether it should be blocked from further attempts. It also determines which IP addresses should be treated with less caution as they are your legitimate IP address. The design of the authentication service allows us to share with you the IPs that try to access your account, and whether that access was successful or not. This can help you in troubleshooting problems you may encounter when setting up devices with your Runbox account, but it can also alert you to attempts at unauthorised access. You can find this information on the “Access Control” tab at Account > Account Security. We have also implemented new features on the “Access Control” page that show you the IPs that are blocked for your account. You can then decide if they should be permanently blocked or removed from the blocked list. In addition you can now also block IPs yourself or add allowed IPs that should always have access to your account when the correct username, password (and 2FA where applicable) credentials are supplied. This is done via the “Manage IPs” section. 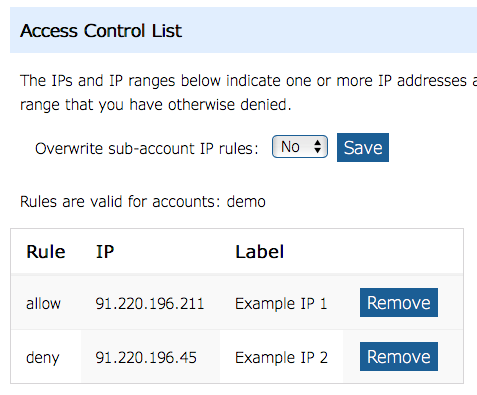 A list of IP addresses you have allowed and denied yourself is visible at the bottom of the page in the Access Control List, and from there you can mange this IP addresses. It’s also possible for Main account holders to set up rules for the Sub-account accounts they have control of. We hope you find these new features useful, and if you need any help with them please see our help page about Access Control. Recently we have been testing a new component to our spam filtering system. This component is powered by Cloudmark, one of the most popular and powerful spam filter systems available. We would now like to make Cloudmark available to more customers. Cloudmark is designed to detect known spam better and works as a central authority based on reporting by millions of Cloudmark users. It would help us improve our implementation of Cloudmark to have more Runbox users testing it. Customers who are testing Cloudmark don’t need to do anything different in the way they use their email. However, we ask testers to report spam (or genuine mail) that is not classified correctly to a special Runbox email address. No data is shared with a third party when using Cloudmark, as it’s running on Runbox’ own servers. Any reporting done by our customers is currently only going to Runbox itself. When we implement a reporting facility back to Cloudmark in the future it will be implemented as a clearly marked option. If you are interested in having Cloudmark added to your account, or wish to ask questions about it, please let us know at Runbox Support (support@nullrunbox.com). Today we officially launch our CalDAV calendar service. With CalDAV you can store your calendars on Runbox’ servers using calendar apps on your computer, smart phone or tablet. CalDAV lets you store your calendar items online and synchronize them across multiple devices. You can create events, recurring events, alarms and also invite other people to add events to their own calendars. Additionally you can create reminders/to-do lists and use those in your favorite notes app. Username: Enter your Runbox username. If you use your own domain name, the username format is you@nulldomainyouown.tld. Password: Enter your Runbox password. For details on how to set up your CalDAV program or app, please see the CalDAV help page. And if you have any questions about this service, please contact Runbox Support. Runbox CalDAV is the first of a new collection of services that will also include CardDAV (contacts) and WebDAV (file storage), so look out for more news in the weeks and months ahead.